If such a lander were available, it could be used immediately (even before all other systems necessary for human expeditions were developed) to land platoons of robotic rovers on Mars, greatly amplifying the capability for scientific exploration (in the sense that it is conventionally understood now) but also creating entirely new and radical capabilities for a very different kind of exploration. With a 10 ton lander, for example, we could deliver 30 MER sized rovers to Mars; Five of these could be made available to the science community to carry multitudes of instruments, life detection experiments, etc. Five more could be used for in situ resource utilization, resource prospecting, mining, construction, and other efforts directed towards establishing engineering capabilities. But the remaining 20 rovers could be equipped with high definition cameras and used to inspect and map out in detail a large area (many square kilometers) of terrain on Mars. This data could be transmitted back to Earth by a high data rate transmitter on the lander, and used to recreate the terrain on Earth in virtual reality. This true (not make believe!) VR environment could then be explored by millions of people on Earth, with interesting observations followed up by the rover platoon on Mars. This would radically democratize the exploration of Mars. As the mission proceeded, the rovers would continue to expand the VR territory, making ever more land available for humanity at large to explore. The ten ton lander would also discipline the thinking of those designing Mars missions towards practical methods. For example with a 10 ton lander we could land a Mars ascent vehicle (MAV) on the surface, and also deliver a crew hab (with crew, or an extra hab loaded with supplies and other equipment) to the surface. After using their hab for housing and lab work during an extended stay, the crew could ascend in the MAV to rendezvous with an Earth return vehicle (ERV, basically a hab with a Dragon-sized bailout capsule) pre-positioned in Mars orbit. The ERV would then use a small chemical stage to send itself on trans-Earth trajectory. Upon approach to Earth, the crew would bail out in the capsule. Such a mission could be conducted with 4 launches (MAV, ERV, crew hab, supply hab) of a launch vehicle in the Falcon Heavy or New Glenn class. A ten ton lander is the key technology that needs to be developed to begin the human exploration of Mars. The Mars Society is calling on the world’s engineering students to show how it can be done. The requirement is to design a ten metric ton payload capacity Mars lander that can be designed, built, and launched no later than 2026 as cheaply, safely and simply as possible. All other design variables are open. It is assumed as an initial condition that the craft is approaching Mars from interplanetary space with a hyperbolic velocity of 3 km/s. The craft then either do a propulsive capture or aero-capture into Mars orbit and subsequently land, or alternatively directly enter the atmosphere and land immediately. The craft may employ any technology for deceleration and landing, including but not limited to rockets, aero-shells, wings, rotors, balloons, or air bags, provided that at no point is the payload subjected to g loads that would be excessive for a human crew. Alumni, professors and other university staff may participate as well, but the teams must be predominantly composed of and led by university students. All competition presentations must be completed exclusively by students. Teams will be required to submit their design reports in writing by March 31, 2018. From there, a down-select will occur with the top 10 finalist teams invited to present and defend their designs before a panel of six judges chosen (three each) by the Mars Society and NASA. 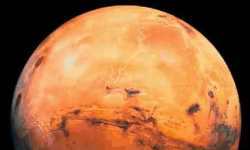 The presentations will take place during a public event at the International Mars Society Convention in in September 2018. Designs will be evaluated using a scoring system, allocating a maximum of 20 points for cost, 20 points for technical quality of the design, 20 points for minimizing total mass, 20 points for operational simplicity and 20 points for schedule with a maximum total of 100 points. To what address should questions about the contest be addressed? Is a letter of intent to compete required? All teams wishing to compete should submit a letter of intent by email to the Mars Society no later than January 30, 2018. Earlier submission is advantageous, however, as it will insure that you are kept informed of any changes and supplied with the answers to any questions posed by other teams. The letter should include the team name, university or universities participating, and email and postal addresses for at least two team contacts. Can two or more universities join forces to form a team? Can one university split forces to form more than one team? Can one individual take part in more than one team? Do the students need to be engineering majors? Will paper copies of the reports be needed? May videos be included as part of the design reports or verbal presentations? The contest is for an end-to-end mission design, and thus should be as comprehensive as possible. Essential parts include choice or design of the entry trajectory, flight systems, landing technology, and concept of operations. A schedule and a cost estimate for the program should also be included. What technologies may be employed? You are free to select from any technology or flight system that is currently operational or which can be plausibly argued to be potentially operational by 2026. What happens if the judges consider our design to be technically sound, but unlikely to meet the 2026 flight schedule? Twenty of the 100 contest points concern schedule, and you will lose part or all of them if your design is deemed dubious be flyable by the end of 2026. However the design will still be considered for the remaining 80 points on its technical, cost, and operational merits, provided that you can show that it is viable for use before the end of 2028. The choice of technologies, unlikely to be available by a 2030 launch date will cause disqualification. What deceleration and landing technology may be used? The craft may employ any technology for deceleration and landing, including but not limited to chemical rockets, aeroshells, wings, rotors, balloons, or air bags, provided that at no point is the payload subjected to g loads that would be excessive for a human crew. Non permissible choices include nuclear, fusion, and antimatter rockets, and skyhooks. If a technology is currently already under development by NASA or another organization, do we need to count its development cost in our cost estimate? No. If someone else is paying for the development, that development cost to your mission is zero, and you simply need to account for its recurring sales cost. Are any points awarded for proposing a business plan that reduces program costs through sale of media rights, advertising, crowd-sourcing, or similar enterprises? Are any points awarded for having flight systems who capabilities exceed the mission requirements? Are any points awarded for designs that are superior from a human-factors point of view? Yes. Reducing g loads will be considered as part of the overall technical quality of the design. However the central consideration will be successful landing of the required payload..
May teams consult with professionals from NASA, ESA, RSA, JPL, the aerospace industry, and other such organizations? Should team members be listed collectively or by the section of the report they contributed to? Where will updates and answers to additional questions relating to the contest be posted. Such information will be posted at a dedicated contest link to be found at www.marssociety.org.